Thur, MARCH 1st 3:30 p.m. to 9:45 p.m.
Shopping in the East Village, followed by dinner at Centro and the 7:30 p.m performance of "Defending the Caveman" at the Temple Theatre. 3:30 p.m. Departure on an Arrow motor coach from the backlot of Seniors on the Move's office at 1245 8th St. in West Des Moines. 3:45 p.m. Arrive in East Village to shop and browse. 6:00 p.m. Dinner at Centro (Upscale Italian Restaurant). 7:30 p.m. 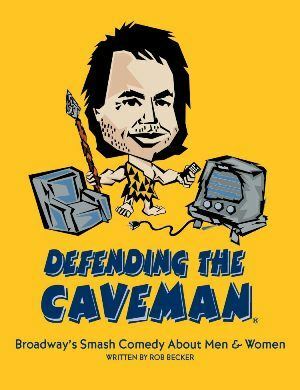 Attend performance of "Defending the Caveman" at the Temple Theatre. About the show: Comedy about the misunderstandings between men and women! 9:45 p.m. Estimated time of arrival back in West Des Moines.